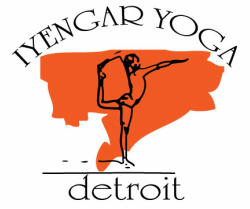 Join us for an Iyengar Yoga Detroit and Guerrilla Food: Food as Medicine collaboration. We will be focusing on healing our bodies through asana and food. This 3-part series for women-identifying participants will focus on ways to heal and strengthen our physical, emotional, and spiritual selves. The workshop will include 1.5 hours of asana, followed by a meal to strengthen the immune system and a discussion on incorporating Ayurvedic practices to promote vitality, reduce stress, and enhance our sleep. The workshops are open to all abilities, including those new to Iyengar Yoga. **we offer a sliding scale to make the workshop accessible to as many folks as possible. If it's within your means, we encourage you to contribute on the higher end to make the program sustainable.